The Holy Trinity Badminton Club is recruiting volunteers, interested in helping with the operations of the club, and gaining valuable experience in running a badminton club. High school students are welcome to apply for a volunteering position to contribute to their community hours. Volunteers with a membership will have first priority though. There are only a limited number of volunteer positions available, so apply now! There are 8 positions available for handling operations, including taking care of the nets, enforcing rules, and operating the game board. There are 2 positions available for learning website development, some basic experience is required. This position is intended for an individual eager to learn, a tech background is not required. The ability to computer program is not required. 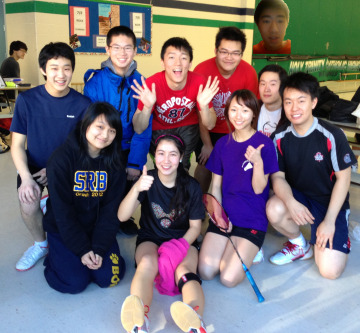 Running a successful badminton club is no different than any other business. You have customers, you have fixed and variable costs, you need to deal with accounting, marketing, sales, operations, business deals, websites, and so much more. If you're interested in practical learning, in the world of business, then you should seriously consider signing up as a volunteer! We're very interested in passing on knowledge and working with smart people, eager to learn. Fill out the Sign-Up Form on this webpage (scroll down).